Injury to the Lisfranc joint is an uncommon event and requires keen evaluation to diagnose it early for the optimal outcome following adequate treatment. Many classifications describe the divergent pattern of this injury as separate entity and even rarer in incidence. The associated ipsilateral great toe interphalangeal dislocation along with the rare divergent pattern of Lisfranc fracture dislocation makes our case unusual. 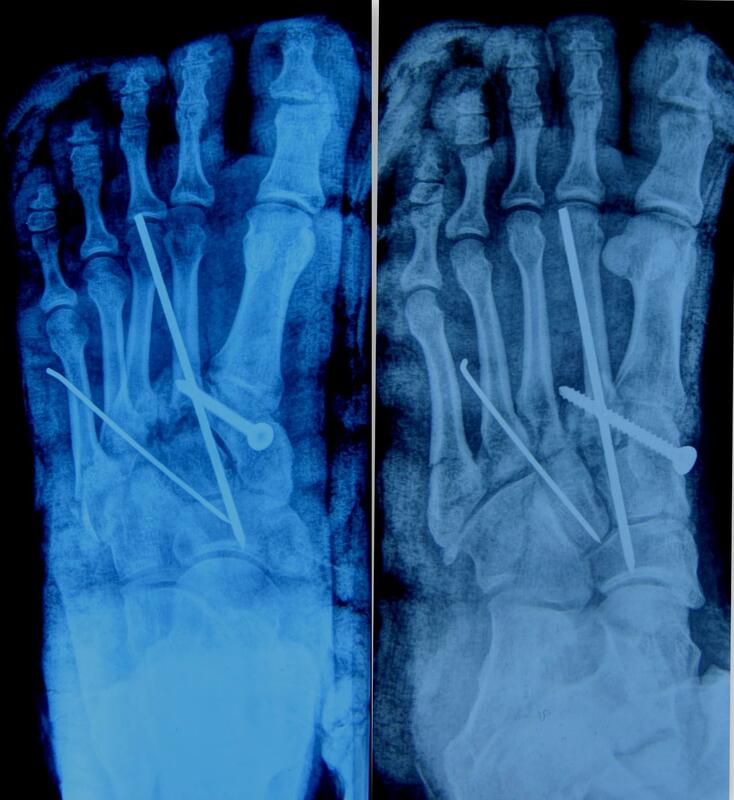 The case was managed by reduction of the great toe interphalangeal dislocation with percutaneous reduction and fixation of Lisfranc injury with screws and multiple K-wires, resulting in a good clinical outcome on follow up. No single case similar to ours is reported previously to the best knowledge of the authors. 1 – Assistant Professor, Department of Orthopaedics, Government Medical College, Haldwani , Uttarakhand. India. 2 – Assistant Professor, Department of Orthopaedics, Government Medical College, Haldwani , Uttarakhand. India. IInjury to the Lisfranc joint (Tarsometatarsal joint) is a rare event with reported incidence of 0.1 to 0.4% of fracture cases . Early identification and meticulous management, often surgical, is required for optimal outcome as the conservative approach has been linked to poor results . Quenu and Kuss did instrumental work to highlight the anatomical and clinical understanding of Lisfranc joint along with description of the “Lisfranc ligament bundle” bridging second metatarsal and first cuneiform bone as key stabilizing structure of tarsometatarsal (TMT) joint . The classification given by the same authors is widely used and it describes three types of the injury; homolateral, isolated and divergent. Divergent dislocation was described as a complete disruption of the TMT joint with first ray and lesser rays displaced in the opposite direction. Another classification by Hardcastle et al modified the abovementioned classification on the basis of radiological evaluation into three types – complete, partial and divergent . Type C or divergent variant was noted with medialisation of first metatarsal and lateral translation of variable number of rest of the metatarsals. The literature is scant about this rare pattern of injury as compared to other types. A 28-year-old male patient was brought to us with a history of injury to his right foot a few hours earlier. There was swelling and pain after the patient sustained an injury to the foot by the jumping off a moving bus. He reported he lost his balance and his foot was twisted before he fell to hard ground. The exact position of the foot at the time of impact is not properly recalled by the patient. There was visible deformity over medial aspect of foot and great toe suggesting presence of underlying significant bony or soft tissue injury. The radiograph of the affected foot showed fracture dislocation of Lisfranc joint along with inter-phalangeal dislocation of ipsilateral first toe. The pattern of Lisfranc injury was divergent with medial dislocation of first TMT joint and lateral dislocation of the rest of the TMT joint (Figure 1). There was also a fracture of the fifth metatarsal base with minimal displacement. Following informed consent, the patient was planned for urgent reduction of aforementioned injury with internal fixation. The rarity of the injury pattern was explained to the patient with additional written consent for future publication. 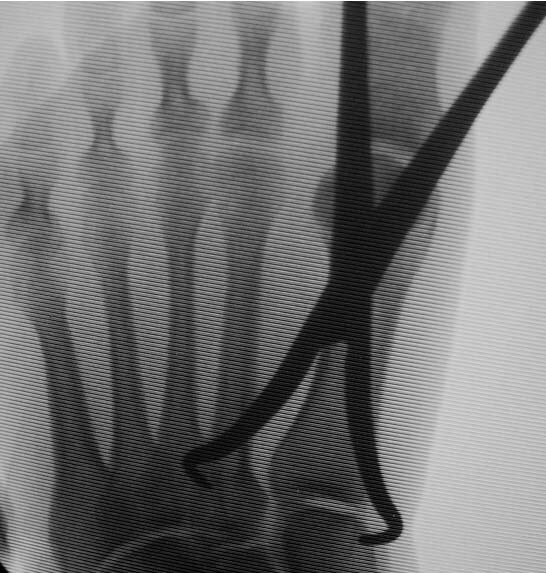 Figure 1 Preoperative radiograph showing great toe interphalangeal dislocation with divergent Lisfranc fracture dislocation. The closed reduction of the interphalangeal dislocation was easily achieved under anesthesia which was later confirmed under fluoroscopy and the closed reduction of Lisfranc injury was achieved under fluoroscopic guidance. 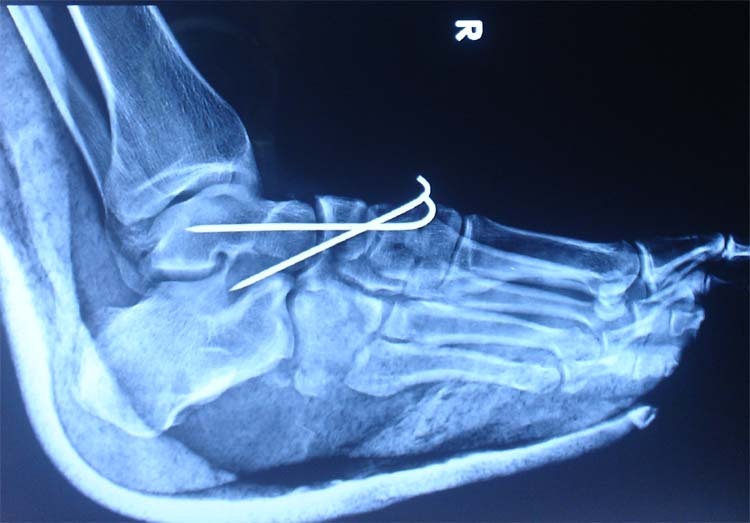 Two K-wires (2.0 mm) were introduced, one along the second metatarsal into the tarsal bones transfixing the Lisfranc joint. The other K-wire (1.0 mm) was introduced along the lateral TMT joints for added stability. 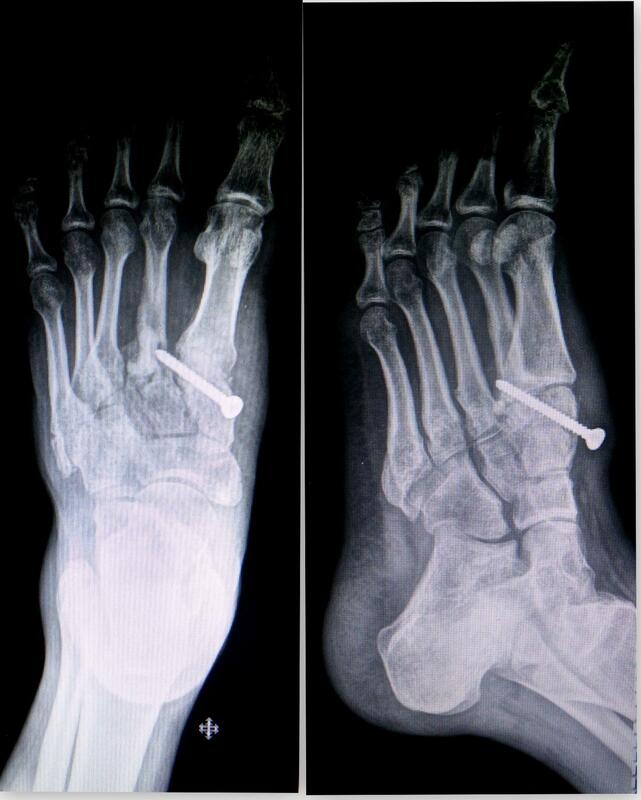 The additional cortical screw (3.5 mm) was used for added stability from medial aspect and fixing the Lisfranc joint (Figure 2). The small wounds were dressed and a well-padded below knee plaster protection splint was applied following the confirmation of satisfactory alignment and fixation of the injuries. Elevation and non-weight bearing protocols were advised. Active toe and knee joint range of motion exercises were encouraged throughout the follow up. Gradual healing of the injury was noted in the follow-up along with reduction of swelling, pain and discomfort. 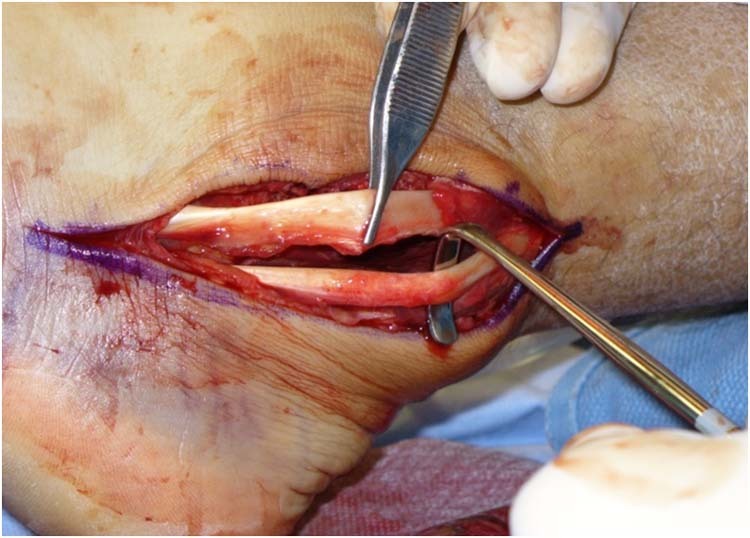 The hardware were sequentially removed between 18-26 months postoperatively (Figure 3). The plaster splint was removed after eight weeks as swelling and pain were minimal. The only complication noted was hardware prominence of the medial screw that loosened over time and later was managed by its removal. The removal of K-wires and screw was uneventful at four and six month follow up. There was no re-dislocation of great toe noted and the patient was performing activities of daily living. 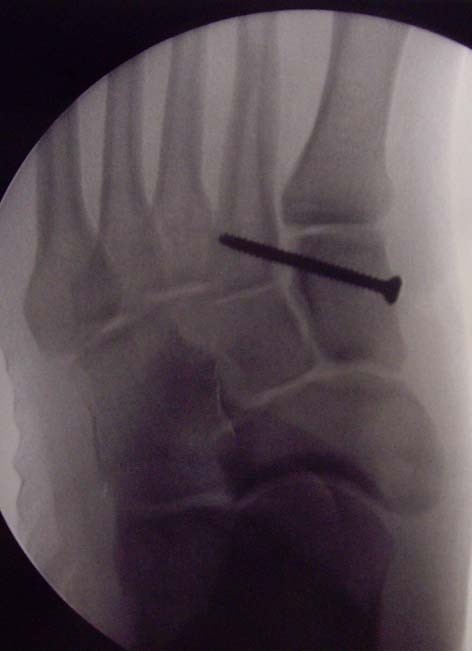 Figure 2 Postoperative radiograph showing the fixation of the Lisfranc injury with K-wire and screw from medial aspect along with reduced interphalangeal dislocation. 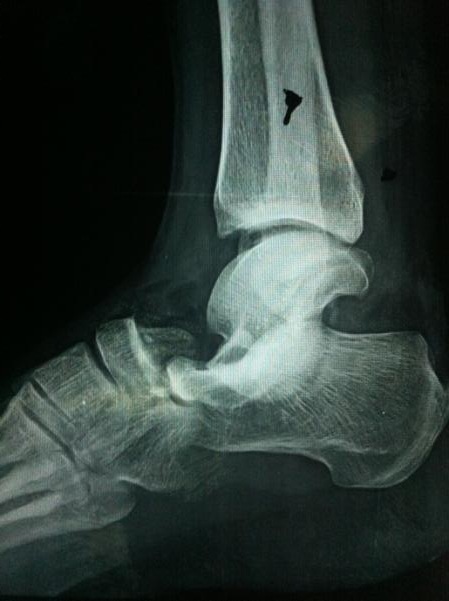 Figure 3 The follow up radiograph showing healed Lisfranc injury at the time of final hardware removal. Meticulous clinical and radiological assessment is critical for the diagnosis of Lisfranc injuries as these are notoriously missed in emergency settings and may be the reason for later medico-legal issues . The divergent dislocation, as in our case, have characteristic radiographic deformity that makes it hard to miss and the diagnosis is evident. 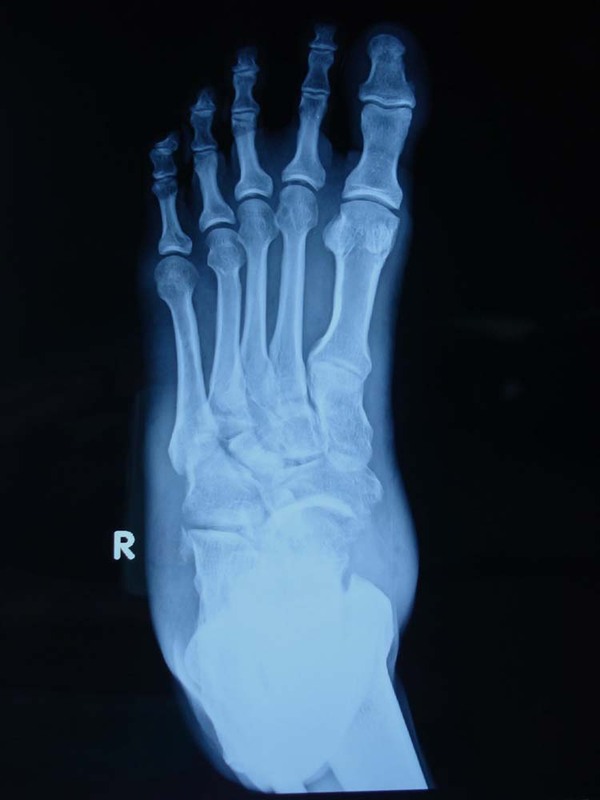 The divergent Lisfranc fracture dislocation is stated to be associated with fractures of other bones in the foot like the cuneiforms and navicular .The subtle injuries, the doubtful diagnosis and the requirement of looking for interposed structure interfering with reduction calls for use of imaging like computerized tomogram (CT) or magnetic resonance imaging (MRI) [7,8]. Our patient refused further imaging due to financial issues and urgent operative intervention was initiated. Open reduction-internal fixation (ORIF) and primary arthrodesis are two common techniques. Our method with use of closed reduction and percutaneous fixation with wires and screws resulted in primary arthrodesis of Lisfranc joint. The reported incidence of secondary procedures for complications has been found to be minimal with primary arthrodesis . 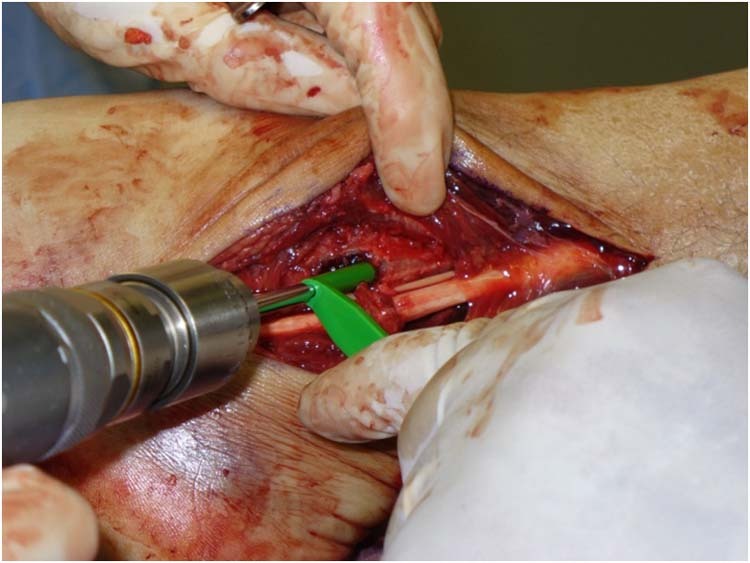 Studies have also shown good outcome of primary arthrodesis in comparison with ORIF in the long term [9,10]. Primary arthrodesis also obviates need for secondary arthrodesis in case of arthritis following either modality of treatment. Our minimal invasive approach resulted in early discharge and avoided wound complications. Quenu E, Kuss G. Etude sur les subluxations du metatarse (luxations metatarsotarsiennes) du diastasis entre le 1stet le 2nd metatarsien. Rev Chir(Paris).1909; 39:281-336,720-791,1093-1134. Chesbrough RM. Strategic approach fends off charges of malpractice: Program provides tips for avoiding litigation. Diagn Imaging 2002;24(13):44-51. Berquist TH, editor. Trauma. Radiology of the Foot and Ankle. New York: Raven Press, 1989. p. 191-7. Kiuru MJ, Niva M, Reponen A, Pihlajamaki HK. Bone stress injuries in asymptomatic elite recruits: a clinical and magnetic resonance imaging study. Am J Sports Med. Feb 2005;33(2):272-276. Isolated talonavicular dislocation is rare because of the strong plantar ligamentous structures that support the joint. It appears that plantarflexion and inversion of the foot is the mechanism of injury. Very often, the strong spring ligament or plantar calcaneonavicular ligament is injured. 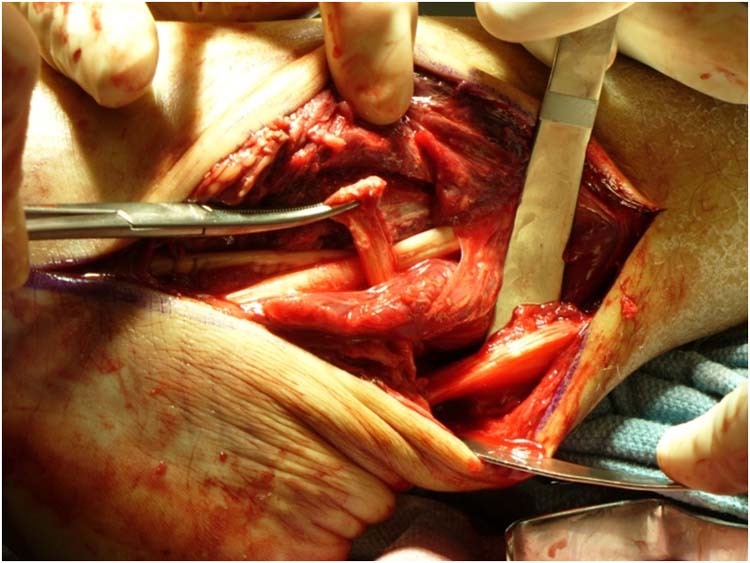 Surgical repair is often the desired treatment in case of ligamentous injury. In this case, closed reduction with percutaneous pinning is presented as an alternative to open surgery. Early anatomical reduction is the key to preventing long term complications such as midtarsal joint arthritis and faulty foot mechanics. Key words: Talonavicular fracture, dislocation. 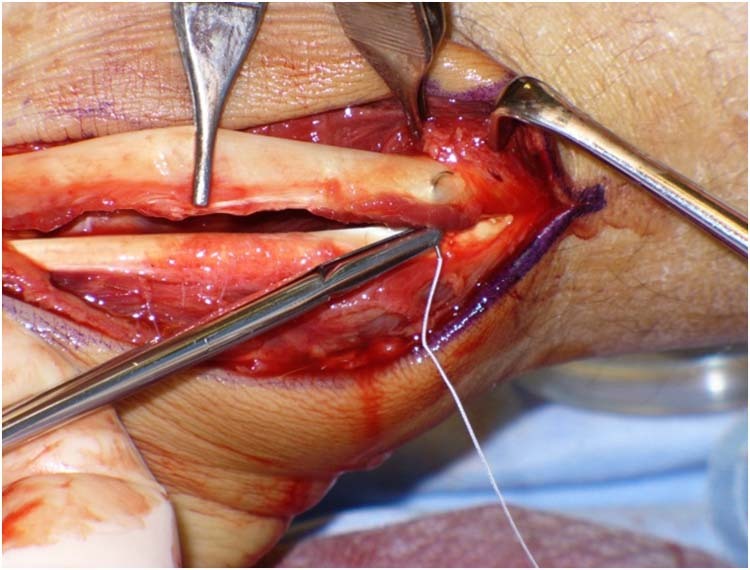 Surgical repair of the short plantar ligament, bifurcate ligament and plantar calcaneonavicular or spring ligament is the desired approach to treatment and reducing the dislocation. However, closed reduction using percutaneous pin fixation appears to also be a viable option to open surgical treatment. Figure 1 The dorsoplantar view showing talonavicular dislocation. 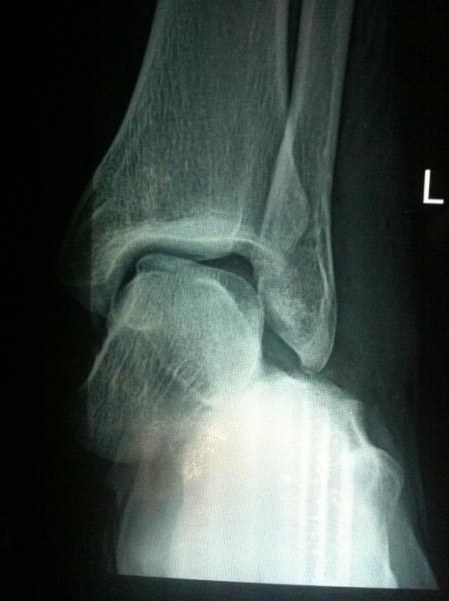 Figure 2 Lateral view showing talonavicular dislocation with associated complex fracture. Closed reduction of the talonavicular dislocation was performed under spinal anesthesia and stabilized by two percutaneous K-wires using image intensifier. (Figs. 3 and 4) The post operative period went uneventful. The patient was immobilized in a plaster of paris cast for six weeks. Gradual physiotherapy was performed to the ankle and foot. 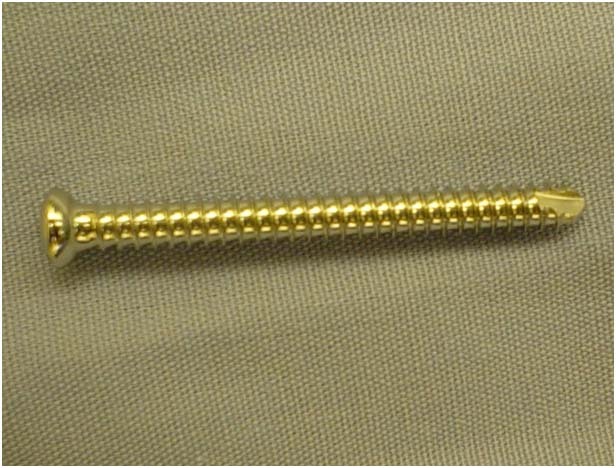 Figure 3 Dorsoplantar view showing stable cross K-wire stabilization of the dislocation. 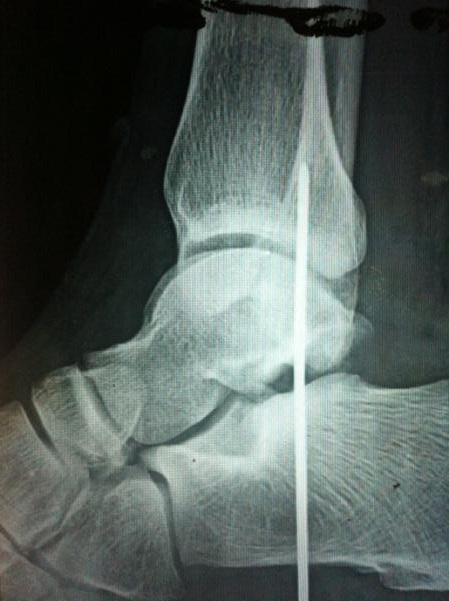 Figure 4 Lateral view showing stable cross K-wire stabilization of the dislocation. Manipulation of the foot has also reduced the fracture fragment. The post-operative period went uneventful. The patient was immobilized in a plaster-of-paris cast for six weeks. Gradual physiotherapy was performed to the ankle and foot. The cast and surgical pins were removed after six weeks. Tolerable weight bearing ambulation began at eight weeks. The patient made a quick recovery and was allowed to fully weight-bear at twelve weeks. He returned to his previous job without incident and no long term complication was identified. After a 2 year follow-up, no complications were reported. This patient is still successfully employed as a manual worker performing normal activities. Midtarsal joints, including the talonavicular and calcaneocuboid joints, are functionally related to the subtalar and Lisfranc joints. Isolated midtarsal injury is uncommon. Main and Jowett classified a series of 71 midtarsal joint injuries into 5 groups according to the direction of the deforming force and the resulting displacement: medial forces, longitudinal forces, lateral forces, plantar forces, and crush injury. Only two cases of midtarsal dislocation were reported: pure plantar midtarsal dislocation and plantar subtalar dislocation associated with plantar dislocation of the talonavicular joint caused by a plantar force. Cases of isolated midtarsal dislocation in medial, lateral, or plantar directions have been reported. [4–7] In this case, dorsal forces disrupted the plantar ligamentous structure, resulting in dorsal midtarsal dislocation. The combination of dorsal dislocation of the navicular from the talus and an associated comminuted fracture of the calcaneus (transcalcaneal, talonavicular dislocation) is an unusual and severe injury and six cases have been described previously. Midfoot fractures, particularly fracture dislocation injuries, affect the function of the entire foot in the long-term outcome. Complex talonavicular fracture dislocation causes residual insufficiency of plantar ligamentous structures and results in the plantar opening of the joint space. This will lead to increased compression stress on the dorsal part of the joint, resulting in dorsal ossification. Early midtarsal joint subluxation and arthritis, secondary to the residual insufficiency of the plantar ligaments are long-term complications. Complex talonavicular dislocation is rare. It represents a severe injury to the plantar ligamentous structures. 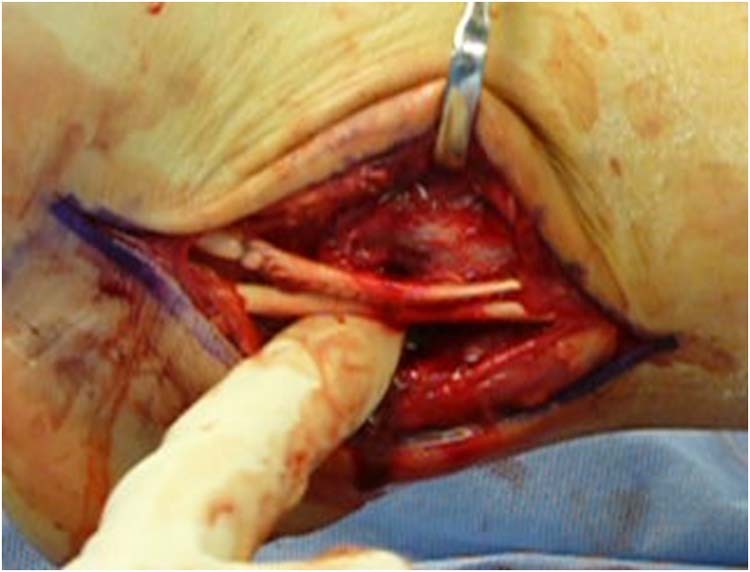 An early anatomic reduction and stable fixation can minimize the long-term impairment. 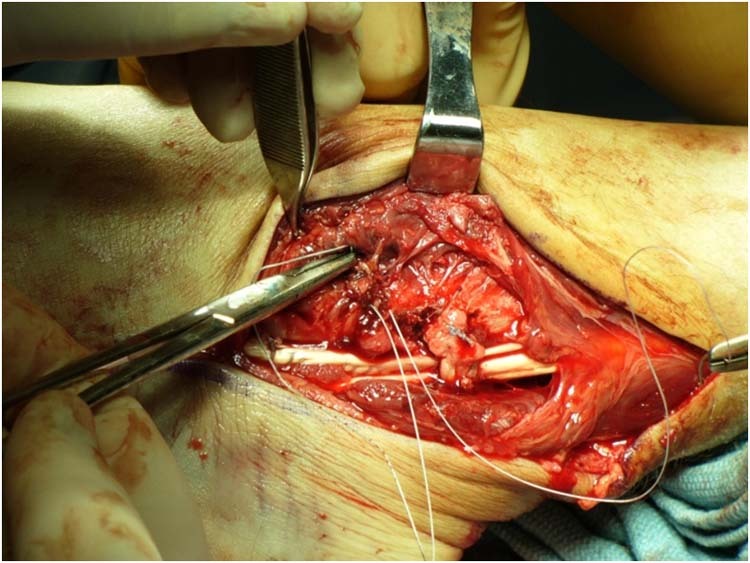 In our case, a closed anatomical reduction was achieved by closed reduction and stabilized by two percutaneous K-wires to minimize surgical trauma to the soft tissue. The K-wires were kept in place for six weeks. The reduction appeared satisfactory. After reduction, the patient was kept non-weight bearing and gradually returned to full weight-bearing after eight weeks. He went back to his manual work with normal activities and occasional pain to the foot. 1. McMinn RMH. Last’s Anatomy: Regional and Applied. 8th edition. London: Churchill Livingstone; 1990 204–217. 2. Kennedy JG, Maher MM, Stephens MM. 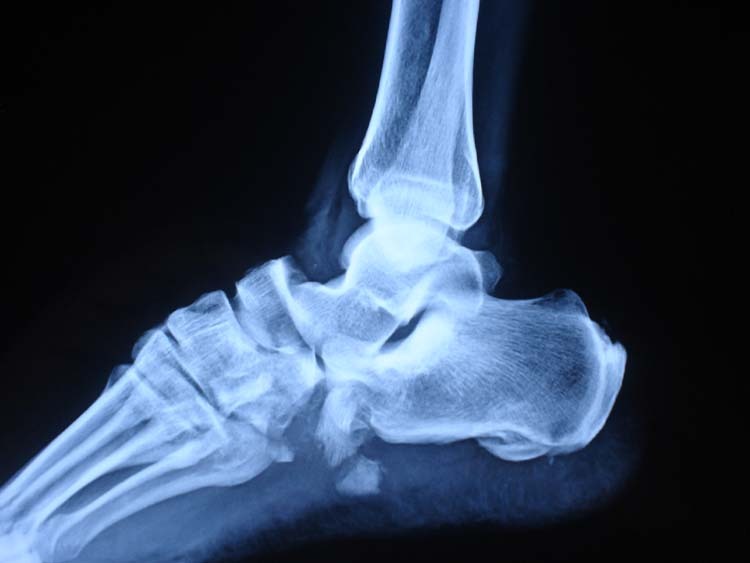 Fracture dislocation of the tarsal navicular bone: a case report and proposed mechanism of injury Foot and Ankle Surgery 1999 5 (3): 167-170. 3. Main BJ, Jowett RL. Injuries of the midtarsal joint. J Bone Joint Surg 1975 57B: 89-97. 4. Ruthman JC, Meyn NP. Isolated plantar midtarsal dislocation. Am J Emerg Med 1988 6: 599-601. 5. Gaddy B, Perry CR. Chopart dislocation: a case report. J Ortho Trauma 1993 7: 388-390. 6. Hosking KV, Hoffman EB. Midtarsal dislocations in children. J Paediatr Orthop 1999;19:592–5. 7. Milgram JW. 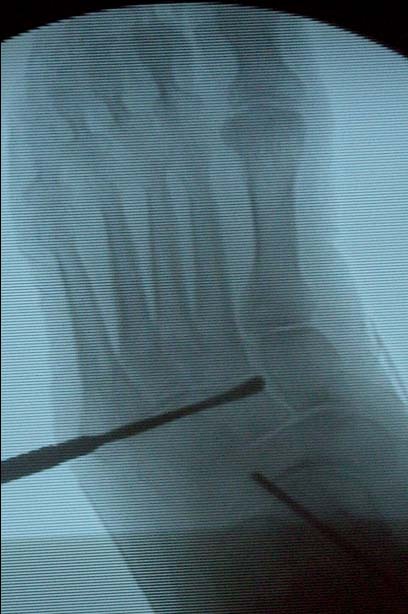 Chronic subluxation of the midtarsal joint of the foot: a case report. Foot Ankle Int 2002 23: 255-259. 8. William RM, Carlo Bellabarba C, Sanders R. Transcalcaneal talonavicular dislocation. J Bone Joint Surg 2002; 84A: 557-561. 9. Richter M, Wippermann B, Krettek C, Schratt HE, Hufner T, Therman H. Fractures and fracture dislocations of the midfoot: occurrence, causes and long-term results. Foot Ankle Int 2001;22:392–8. 10. Richter M, Thermann H, Huefner T, Schmidt U, Goesling T, Krettek C. Chopart joint fracture-dislocation: initial open reduction provides better outcome than closed reduction. Foot Ankle Int 2004 25: 340-348. 11. Pillai A, Chakrabarti D, Hadidi M. Lateral swivel dislocation of the talo-navicular joint. Foot Ankle Surgery 2006 12(1): 39-41. 12. 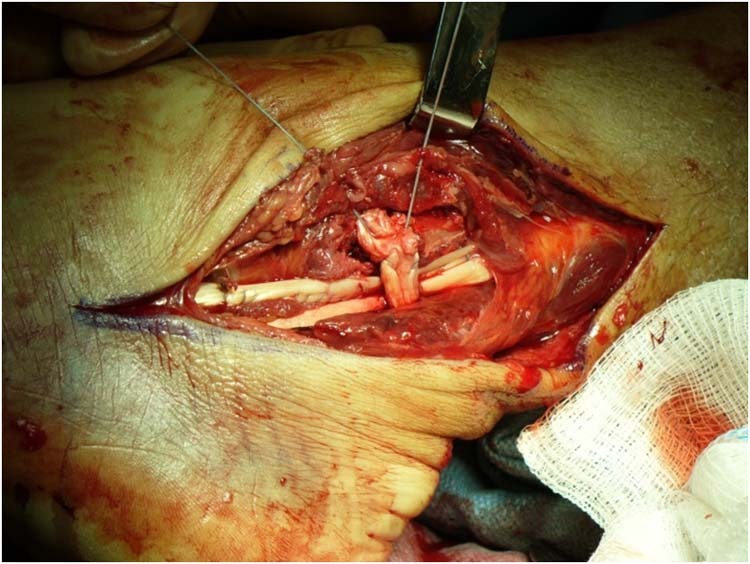 Johnstone AJ, Maffulli N. Primary fusion of the talonavicular joint after fracture dislocation of the navicular bone. J Trauma 1998 45(6):1100-1102. 1 Registrar in Orthopedics, Dept. of Orthopedics, St. Stephen’s Hospital, Tiz Hazari, Delhi 54, India. 3 Registrar in Orthopedics, Department of Orthopedics, St. Stephens Hospital, Tiz Hazari, Delhi, India. A 39 year-old woman injured the big toe of her right foot after a fall down the stairs. Upon examination there was a dislocation of the hallux. A plain radiograph showed a dislocation of the interphalangeal joint of the hallux and interposition of a sesamoid bone in the articular space. 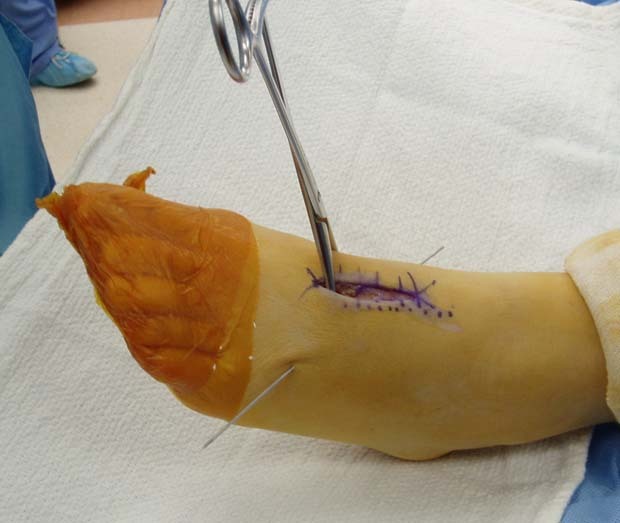 An attempt at closed reduction was unsuccessful, after which open reduction and excision of the sesamoid was undertaken. Dislocation of the interphalangeal joint of the hallux with interposition of a sesamoid is a rare injury. It is almost always the result of a hyperextension trauma. The clinical appearance together with a plain radiograph is in most cases sufficient for the diagnosis. Closed reduction should be attempted before open reduction is undertaken. 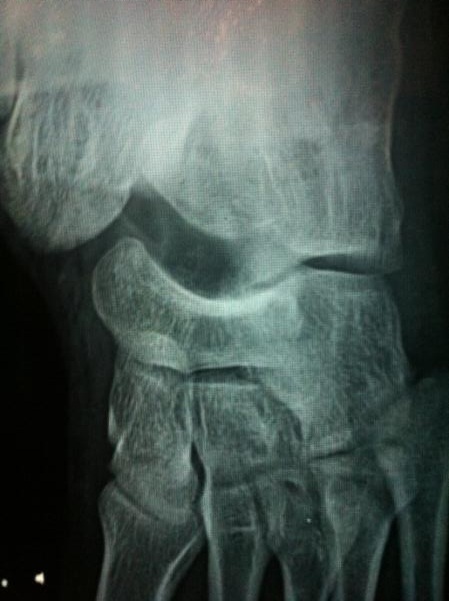 If this is unsuccessful, it is probably due to an invaginated volar plate and sesamoid. 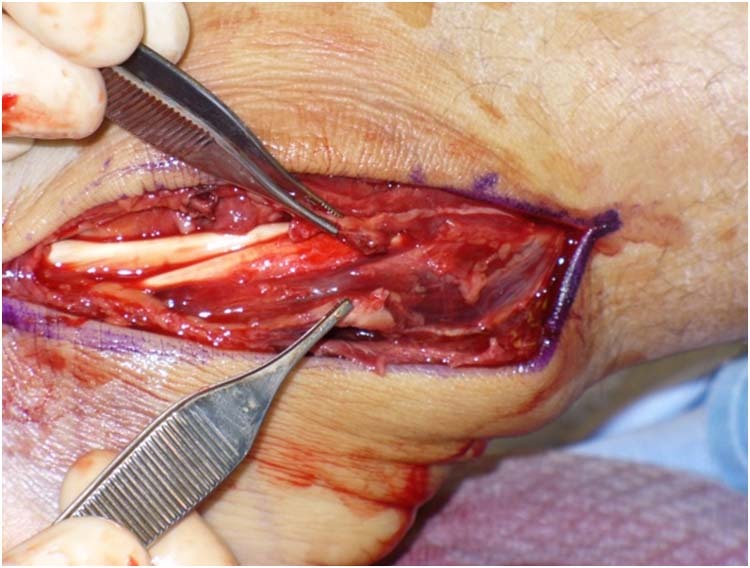 Open reduction and removal of the sesamoid is then required followed by reduction of the volar plate plantarward. In general, the recovery is complete and without problems. A dislocation of the hallux with interposition of the sesamoid bone is a rare injury. [1,2,3,4,5,6] The treatment can consist of a closed reduction or an open repair. We report a 39 year-old woman with a painful hallux after a fall down the stairs. On the initial radiographs interposition in the interphalangeal joint (IPJ) of a sesamoid bone was seen. An attempt at closed reduction was unsuccessful after which the patient was treated with open reduction and excision of the sesamoid. A 39 year-old woman injured her right hallux after a fall down the stairs. She presented at the emergency room with an abnormal configuration of the hallux and in a significant amount of pain. On physical examination there was a dorsal dislocation of the IPJ of the great toe. Marked swelling and tenderness of the hallux was also noted. Passive movement of the toe was very painful, active movement was not possible. The neurovascular status of the hallux was normal. 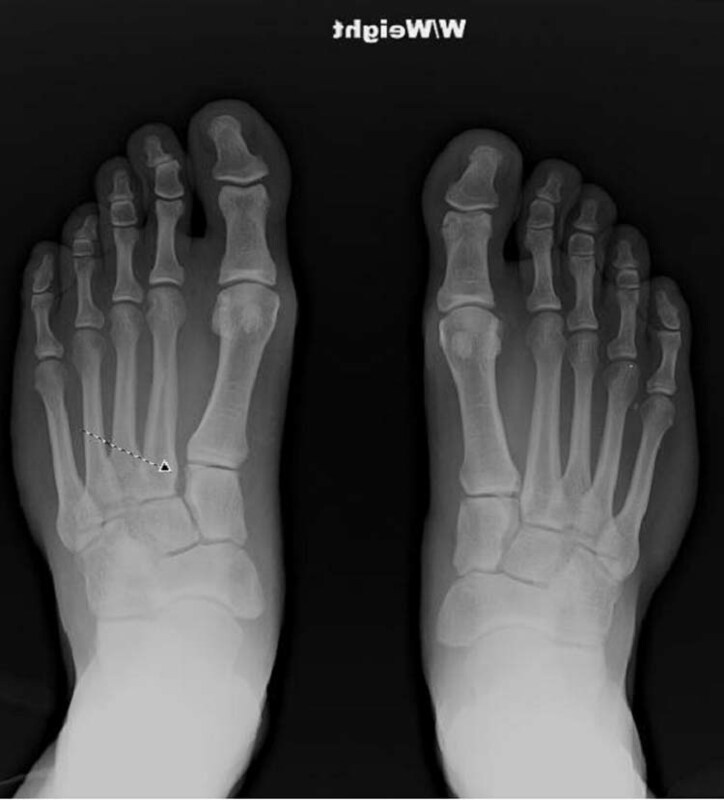 A plain radiograph of the hallux showed a dislocation of the IPJ of the hallux and an entrapment of a sesamoid bone in the interphalangeal space (Figs. 1A and 1B). After local anaesthesia an attempt at closed reduction was undertaken, but was unsuccessful. 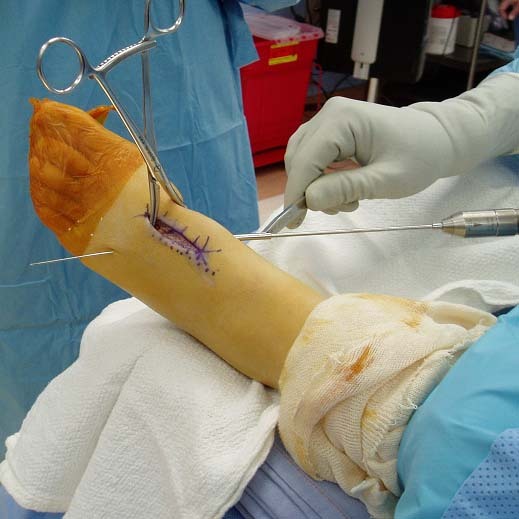 Following this, surgical removal of the sesamoid and reduction of the hallux was undertaken. Under general anaesthesia, a dorsal S-type incision was made over the IPJ. 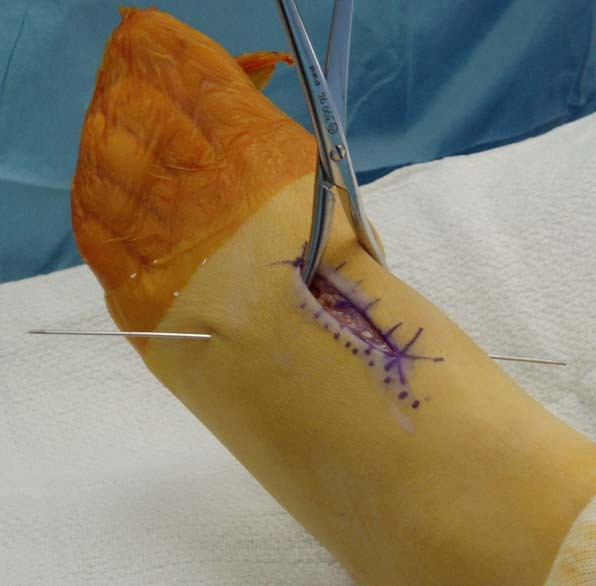 The extensor tendon was incised longitudinally and the joint capsule was opened. The sesamoid together with the volar plate were found within the articular space. 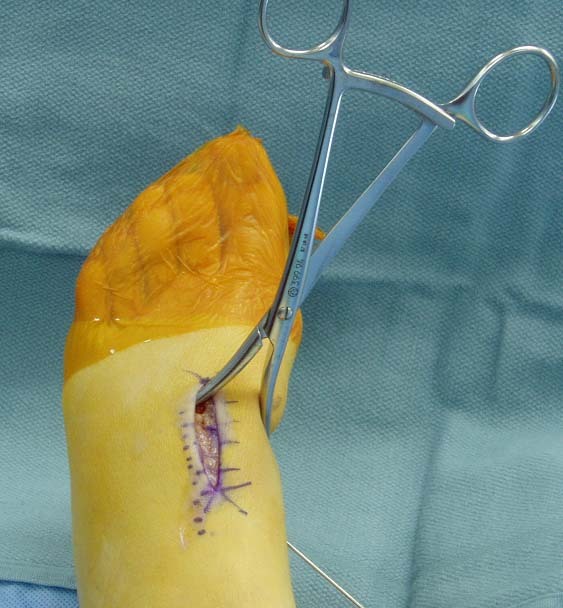 The sesamoid was removed and the volar plate was reduced from the IPJ after which the hallux could be reduced. The joint capsule was closed and the skin was approximated. The patient was treated with 2 days compression bandage and normal mobilisation. The follow up was uneventful and the recovery was complete. 1. Eibel P: Dislocation of the interphalangeal joint of the big toe with interposition of a sesamoid bone. J Bone Joint Surg 36A (4): 880 – 882, 1954. 3. Berger JL, LeGeyt MT, Ghobadi R: Incarcerated subhallucal sesamoid of the great toe: Irreducible dislocation of the great toe by an accessory sesamoid bone. Am J Orthop 26: 116 – 228, 1997. 4. 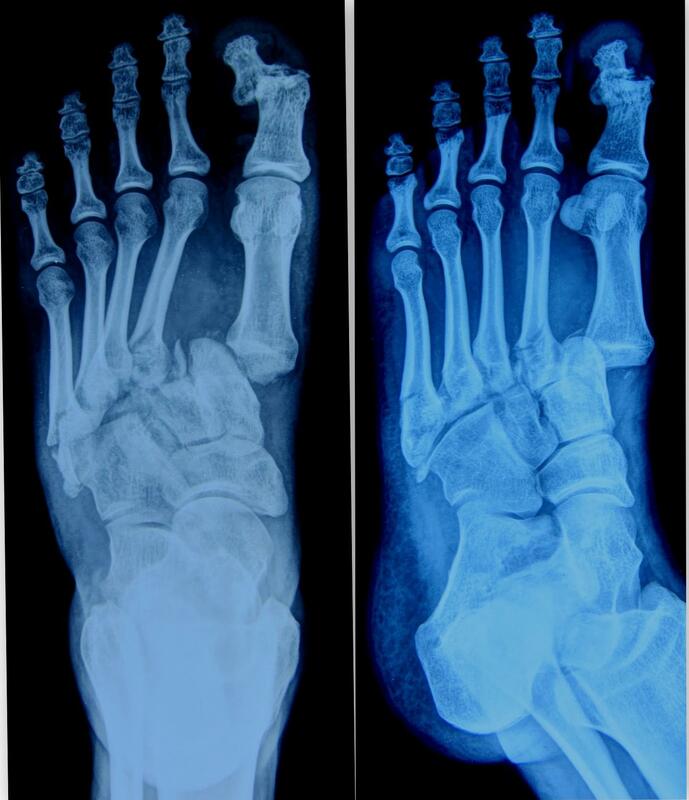 Sorene E.D, Regev G: Complex dislocation with double sesamoid entrapment of the interphalangeal joint of the hallux. 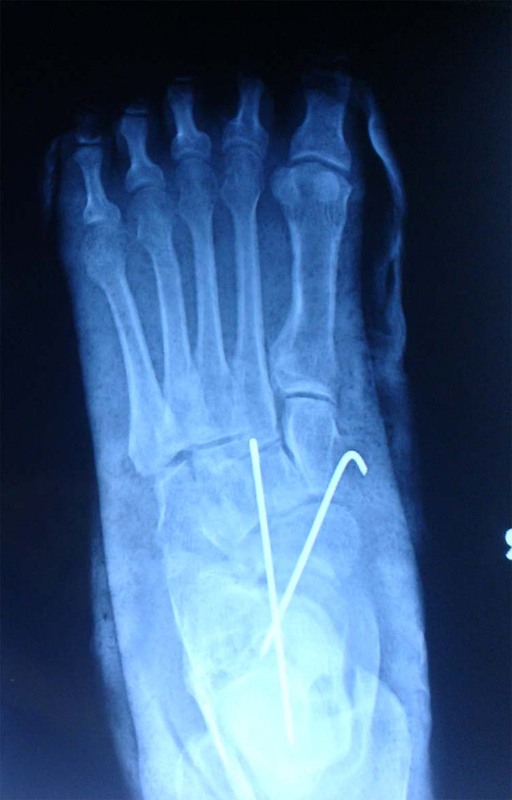 Foot Ankle Surg 46 (6): 413 – 416, 2006. 6. Kursunuglu S, Resnick D, Goergen T: Traumatic dislocation with sesamoid entrapment in the interphalangeal joint of the great toe. J Trauma 27 : 959 – 961, 1987. 7. Rodeo SA, Warren RF, O’Brien SJ, Pavlov H: Diastasis of bipartite sesamoids of the first metatarsal phalangeal joint. Foot Ankle 14: 425 – 434, 1993. 8. Davies MB Abdlslam K, Gibson RJ: Interphalangeal sesamoid bones of the great toe: An anatomic variant demanding careful scrutiny on radiographs. Clinical anatomy 16: 520 – 521, 2003. 9. Nelson TL, Uggen W: Irreducible dorsal dislocation of the interphalangeal joint of the great toe. Clin Orthop Relat Res 157: 110 – 112, 1981. 10. 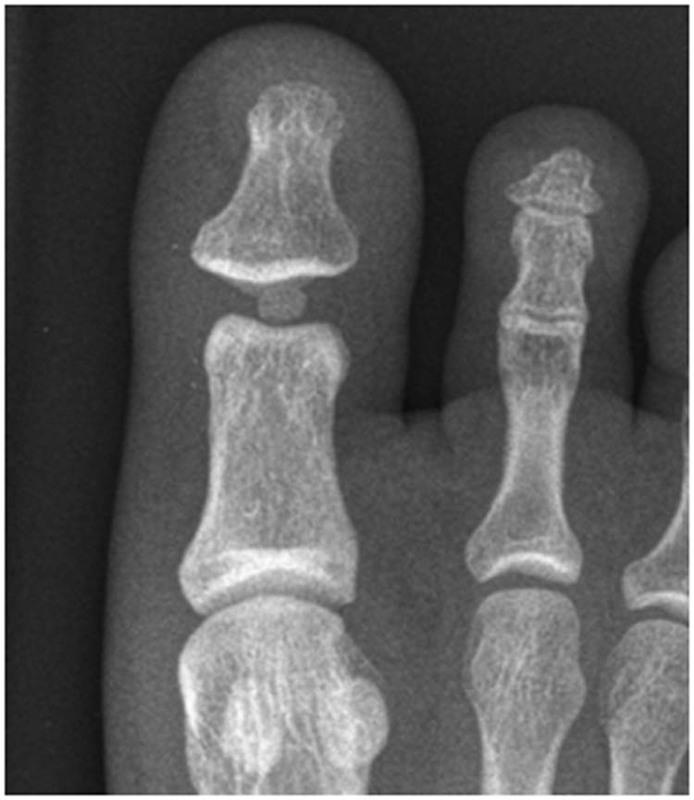 Müller G.M: Dislocation of sesamoid of Hallux. Lancet 1: 789, 1944. 11. Szucs R, Hurwitz J: Traumatic subluxation of the interphalangeal joint of the hallux with interposition of the sesamoid bone. Am J Roentgenol 152 : 652 – 653, 1989. Department of Orthopaedic Surgery, Medical Centre Leeuwarden, Leeuwarden, The Netherlands.